I don't know how to change legend labels using attribute table. I want to use values from "litologia" field instead of "kod". Is this even possible or do i have to switch value field in symbology properties and create all symbols again? 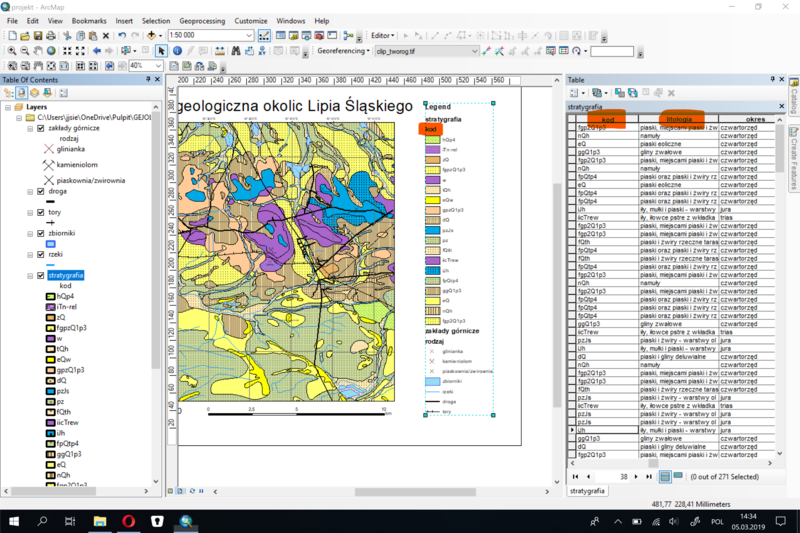 If you want to use values from "litologia" field instead of "kod" in your legend, one workaround is to add the layer a second time to your mxd. Set the second layer's symbology to the "litologia" field, and display this [second] layer in your legend. You can have layers in your legend that are not turned on in the table of contents, just make sure to uncheck the box labeled "Only display layers that are checked on in the Table of Contents." Not the answer you're looking for? Browse other questions tagged arcgis-desktop labeling legend layouts or ask your own question. 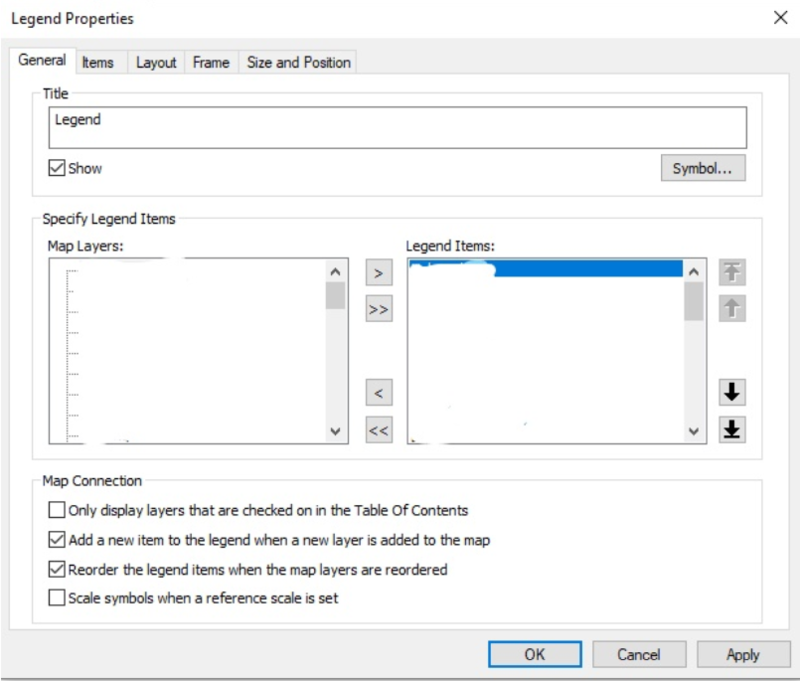 Placing layer name beside their symbols in legend using representations of ArcGIS for Desktop? Using attribute data for legend labeling in QGIS? Showing multiple attributes in legend of ArcMap? Editing stretched raster legend labels using ArcPy?